What if you want to jump and your horse doesn’t? Not now, not ever. What if your horse is hot and spirited, a little more so than you are comfortable riding? 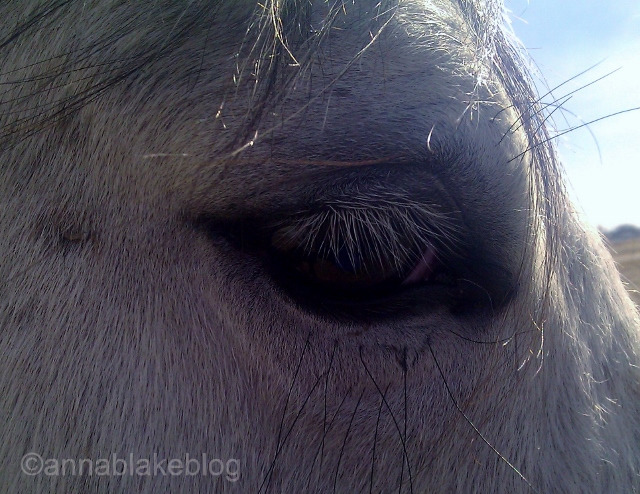 Or maybe that the quiet horse who taught you how to ride just doesn’t have the energy for advancing your riding goals? Or is it possible that you and your horse have such different personalities that you are just simply a bad match? Wow...just rejoined BARNMICE after a few years and the first article I read is your blog...coincidence?? I think not...I am (dare I say) a middle aged woman going through the process of 'retiring' my 17 yr old gelding and I mean it is a process. I like many poor horse owners cannot keep two horses. It is a real balance of being able to live with myself by doing right by the horse that I love and has given more to me than money could buy and my desire to continue 'riding' the way I want to. His shoes are being pulled on Monday...another step. He will stay where he is(high end facility) until I find a life long home that will love him like I do and I will continue to pick up rides when I can. Thank you for validating my decision. Thanks for this comment. Sounds like you care alot about both of these good horses. Going through this right now. Have a lovely gelding I thought would take me to the end of my riding years, I am 62. Couple of years ago when we were trying to move up a level he got stuck behind, not lame just dragging his sorry ... around. Had vet, chiro, massage, supplements, we tried everything. He wasn't grouchy , just not into the work. I have finally decided to lease him to a very good friend who just wants to have a couple of trail rides a week and maybe play in the arena occassionally. I think he will be much happier and I will stop feeling guilty that I am doing something wrong. I purchased a young horse last fall who seems quite happy in her work and my coach loves her "try" and I look forward to my rides. Sometimes we just have to face the facts and move on.